Before writing anything, I just want to say that there is NO excuse for not attending this event! 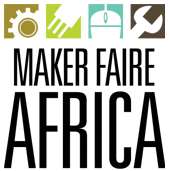 Maker Faire Africa is the African chapter of Maker Faire World, and the awesome part is that, they are organizing their yearly event this year in Cairo, Egypt. Next Thursday, and till Saturday, 6th of October to 8th of October, the faire will take place at the AUC new campus. It's free and you can register from here. You may also check this page for more information. Cairo Hacker Space is a new potential space for hacking in Egypt, it will be there presenting some cool stuff, so make sure to visit their tent as well, and follow them for upcoming cool stuff.